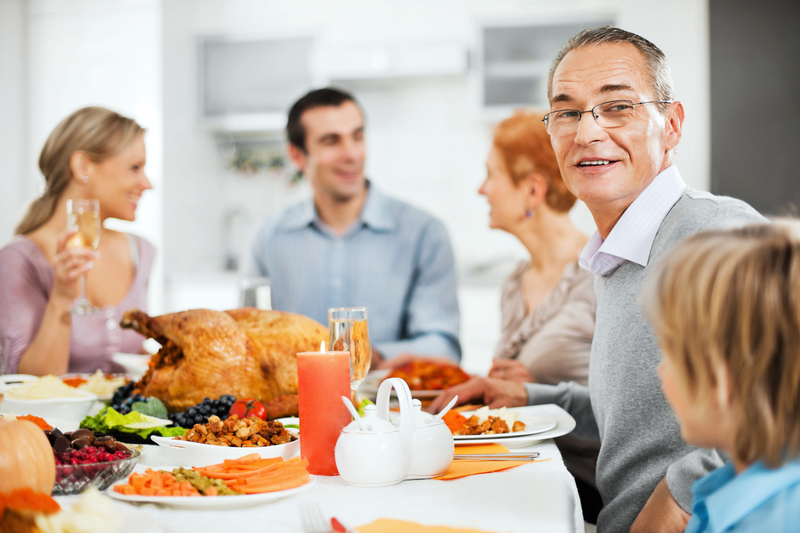 Want to increase aging parents and everyone’s enjoyment at Thanksgiving ? Try storytelling using Thanksgiving memories. This Thanksgiving ask everyone to tell their favorite story about a Thanksgiving dinner. Start with midlife members to get the idea and then ask again parents to share their story. It will bring extra thanks to Thanksgiving by learning about an elder’s past and giving them the opportunity to share, which sometimes they do not do in the hubbub of family talking. The “telling ” also means someone documents. That magically gives the elder and a child social interaction and connectedness. Elders vividly recall their past by telling from vignettes in their life – especially life in their 20’s, which sparks the richest recall called the “20’s bump”, according to researchers. So many midlife adults now do ancestry and regret that they did not ask questions of older family members when they were alive. Capture that past now on this family holiday. An aging professional or a geriatric care manager can suggest family or friends record the Thanksgiving story as oral history using technology like an i Phone or i Pad. Want to increase and elder’s quality of life. Try storytelling. Just as storytelling helps children look forward to life- what is fun, what is scary, what never to do, it helps elders look back on their life. It gives both older and kids people a chance to socialize as they tell their story. The “telling ” also means someone usually listens or documents. That magically gives the elder and a child social interaction and connectedness. Elders vividly recall their past by telling from vignettes in their life – especially life in their 20’s, which sparks the richest recall called the “20’s bump”, according to researchers. Reminiscence therapy is like a therapy session where the elderly person will spend time recalling memories of his or her life, perhaps telling stories about things that happened and events the person can recall. 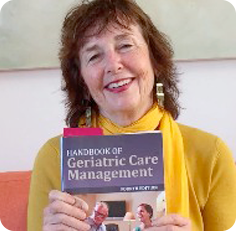 Care managers and senior professionals can use photos, familiar objects, or other such items to help jog the memory of the elder. Some therapists can a scrapbook of a person’s life, including photos, letters, and other such personal memorabilia. This becomes a visual biography of the patient’s life and helps him or her remember who he or she is. How does this quality of life therapy help? Almost all elderly men and women can feel deeply discouraged and frustrated with their memory issues. Reminiscence can give peace and acceptance of the current situation by helping the person remember that he or she has had a good and full life. It also prompts the communication skills of elderly people who otherwise may not feel very compelled to open up and share anything with anyone else. 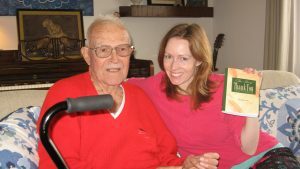 Using Reminiscence therapy techniques can give the confused elder a richer quality of life by giving them with time with other people who will actually listen to them. Through this, a dementia patient is made to feel their thoughts and feelings actually matter. To someone who has an elderly loved one suffering from dementia, this benefit alone can make reminiscence therapy a form of joy. There is even an app called Grey Matters, which caregivers and care managers can look into for reminiscence therapy for elders with dementia. If the senior is a BBC fan, like me, the BBC even has an app called RemArc to help dementia sufferers with reminiscence using old clips from the BBC. You can see in the future an app that has clips from Star Wars for present baby boomers or generations after that. Want to increase and elder’s quality of life. Try story telling. Just like storytelling helps children look forward to life- what is fun, what is scary, what never to do, it helps elders look back on their life. It gives both older and kids people a chance to socialize as they tell their story. The “telling ” also means someone usually listens or documents. That magically gives the elder and a child social interaction and connectedness. Elders vividly recall their past by telling from vignettes in their life – especially life in their 20’s, which sparks the richest recall called the “20’s bump”, according to researchers. How does this quality of life therapy help? Almost all elderly men and women can feel deeply discouraged and frustrated with their memory issues. Reminiscence can give peace and acceptance of the current situation by helping the person remember that he or she has had a good and full life.It also prompts communication skills of elderly people who otherwise may not feel very compelled to open up and share anything with anyone else. The role of story telling and reminiscence is very important for elders, as they look back on their life. It gives them a chance to socialize as they tell their story. It also means someone usually listens or documents. That magically gives the elder social interaction and connectiveness. Sometimes senior experts can use photos, familiar objects, or other such things to help jog the memory of the patient. Some therapists can a scrapbook of a person’s life, including photos, letters, and other such personal memorabilia. This becomes a s visual biography of the patient’s life and helps him or her remember who he or she is. How does this quality of life therapy help? Almost all elderly men and women can start feeling discouraged and frustrated with their memory issues. Reminicence can give peace and acceptance of the current situation by helping the person remember that he or she has had a good and full life life.It also prompts communication skills of elderly people who otherwise may not feel very compelled to open up and share anything with anyone else.